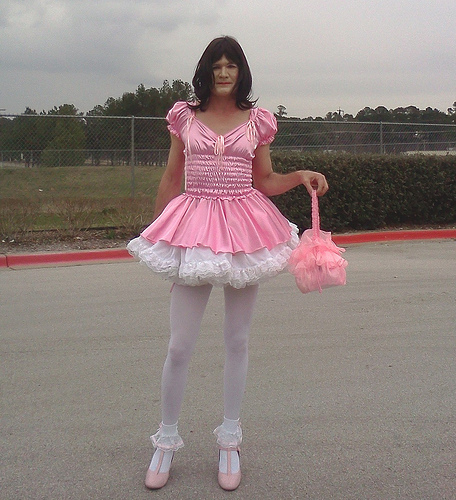 Here is a pretty sissy on display for you. I love her frilly pink sissy dress with adorable crinoline. Proper accessories makes this look complete.